Published on 5 February 1965. The drawing was originally commissioned by the Times. Gerald sketched him from the public gallery in the House of Commons. He was shocked to see how he had deteriorated from the British Bulldog Churchill everyone knew. The Times refused to print the drawing because it would upset Churchill's wife, Clemmie. 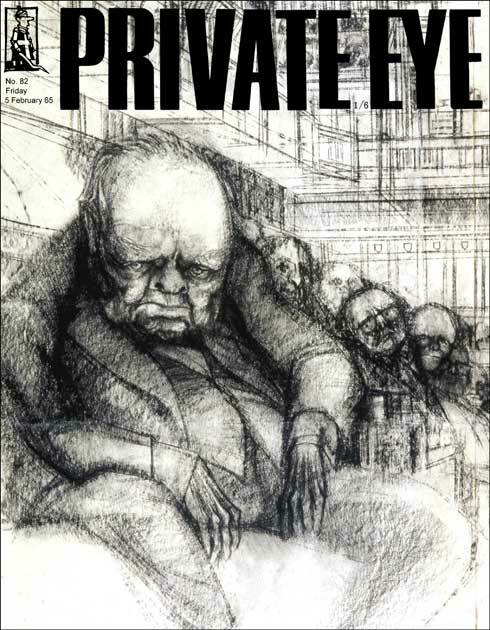 Gerald had told the story to Peter Cook, who remembered it when Churchill died, and ensured it was used by Private Eye. Size of print 21cm x 29cm. Hand signed by Gerald Scarfe.